Information Technology undeniably has become a critical component of all business operations. Your business success depends on your IT infrastructure. Our Managed IT support services provide you the unlimited proactive support that keeps your network running efficiently and effectively, which ultimately help you reach your business goals. 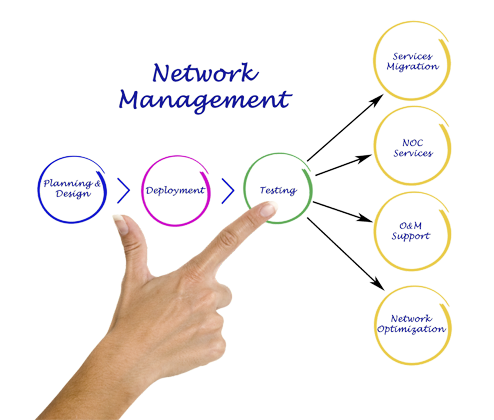 IT Network Solutions provide Managed Services using industry best practice to keep your critical network infrastructure and systems secure, while maintaining high availability and performance. a fraction of the cost of an in-house IT person. IT Network Solutions provide Managed IT Support Services Agreements to ensure your investment is well maintained and protected. Our contracts are based on a flat fee structure to ensure you don’t have any unexpected cost associated with managing and maintaining your IT Systems. Our Managed Support Services benefit organizations by reducing downtime and improving the security and availability of their IT Systems. With our Managed Support Services Agreement, we guarantees a priority response with unlimited remote and onsite technical support for covered equipment. Our goal is to dramatically reduce your total cost of technology ownership and maintenance while achieving maximum uptime.